Hard Disk Direct aims at constantly improving the efficiency of your computer- which is regarded as the key of modern civilization is advancing at an exponential rate or rather supersonic speed. 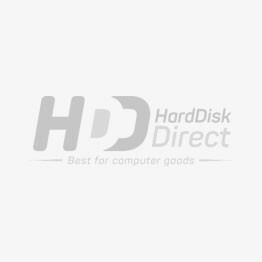 Hard Disk Direct takes you a step closer to advance your computer, by providing you with a list of accessories to pick from. The peripherals or accessories which attach to your computer are necessary to serve several important purposes. The accessory’s functionality is majorly dependent upon the computer to which it attaches but at the same time, the upgradation of the efficient performance of the computer is majorly dependent on the accessories that connect to it. Hard Disk Direct brings for you the basic as well as the advanced accessories for you to upgrade your Computer. HDD strongly believes that with the current fast-growing dynamic needs of the industry it is important for you to cope up by catching up with the latest technological advancements in Computer accessories. We offer you a wide range of peripherals to pick up your best fit from. Our peripherals include Mouse, Keyboard, cooling fan options, thermal compound, Tools and testers, card readers and a lot of other fitting accessories which you can check today at HDD, to complement your device in the best possible manner. These accessories can aid you not just forming a complete desktop computer but can also help you in adding additional features to your computer. Hence, you do not need to replace your device to keep up with the growing advancement needs but can simply keep adding peripherals to increase its worth and adding the desired features according to your requirements. In addition to this, HDD also brings a wide range of Batteries to fulfill the power needs of your device. It is one hardware component of your device which attracts major consideration for it enables your device to work without a power cord. Batteries are a key component which has freed the world from being caged to plugging each device into electricity for operating it. In simpler terms, you cannot neglect the powerhouse of your device which frees you from the hassle of being connected to cord all the time. Many high-end devices aim at making use of batteries which do not deplete of energy hence providing a better efficiency of the system. We at HDD have a range of list to choose from which includes: CMOS battery, Laptop battery, UPS battery, and PDA & Cell Phone Battery. CMOS batteries which can last lifetime as that of the motherboard will occasionally need a replacement to fit into the needs of your motherboard. UPS Batteries are the backbone of your system as their power failure can create a risk of downtime for the operations of your data centers. In the light of this scenario, HDD brings you a variety of options to choose from so that your powerhouse never fails you!